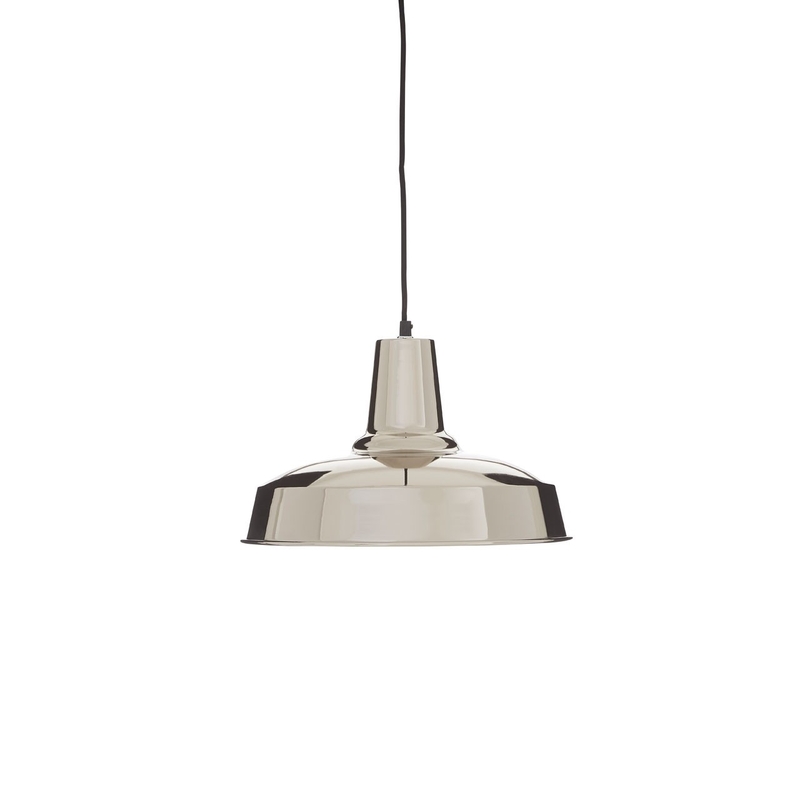 Its pan shaped shade and tapered finial give this polished pendant light a vintage industrial look. The shade of the New Foundry pendant light is made from tough iron. Its silver finish is countered tonally by the sleek black 1.5 metre suspension wire, with a round silver iron canopy which keeps it attached securely to the ceiling. Coordinate it with silver and gold coloured metal accessories in the dining area.